Pyeongchang Winter Olympics organisers are entering their final preparations with renewed confidence after neighbouring North Korea ended months of speculation by confirming its attendance, immediately easing fears over security and ticket sales. With one month to go, the outlook is suddenly much brighter for the "Peace Olympics", which had been rocked by the drugs ban on Russia's team and concerns over potential disruption by the nuclear-armed North. North Korea, which boycotted the 1988 Seoul Summer Games, this week agreed to attend its first Olympics in the South, during talks which defused soaring tensions over its nuclear programme and missile tests. France, Germany and Austria had all voiced fears about competing in Pyeongchang during the stand-off with North Korea, which lies just 80 kilometres (50 miles) away from the Olympic site across a heavily fortified border. 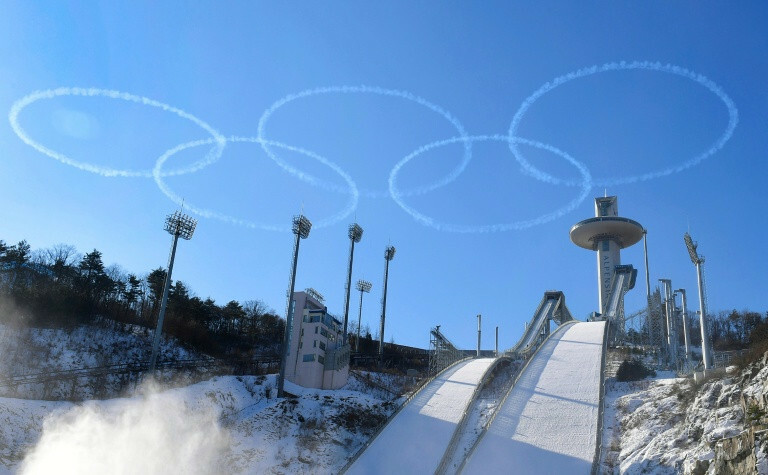 "Security concerns over the North's nuclear threats during the Pyeongchang Olympics have evaporated at a stroke," Park Sung-Bae, a sports industry expert from South Korea's Hanyang University, told AFP. "No one would now think the North could lob nuclear bombs over the heads of its own athletes." North and South Korea's Olympic officials will meet at the International Olympic Committee's headquarters in Switzerland next week to hammer out the details of the North's participation. The North Korean delegation is expected to run into the hundreds, even though figure skaters Ryom Tae-Ok and Kim Ju-Sik are their only two athletes who qualified to compete -- and subsequently missed a deadline to register for the Games. The IOC has said it will consider offering wildcards to North Korean athletes. Cross-country skiers and speed skaters are understood to be among those who could benefit. According to reports, the North Koreans -- including its "army of beauties" female cheering squad -- could be accommodated on a cruise ship off the nearby coastal city of Sokcho. "There has been plenty of speculation on whether North Korea would participate or not, but now that it's been confirmed, we'll have to be prepared that much more," said Lee Hee-Beom, head of the organising committee, according to Yonhap news agency. "Accommodation for athletes and other officials is all ready. Since the cheering and performing squads will also make their way, we'll have to make our preparations accordingly." The news of North Korea's involvement is highly welcome for Pyeongchang after Russia's team was barred en masse by the International Olympic Committee (IOC) last month over a wide-ranging doping conspiracy. Pyeongchang will also be missing top ice hockey stars, as the National Hockey League (NHL) is snubbing the event after the International Olympic Committee refused to pay costs such as travel and insurance. According to organisers, about 703,000 Olympic tickets had been sold as of January 9, nearly 60 percent of the 1.18 million available. About half of all Olympics tickets are normally sold in the last two months and during the Games, they say. The Games are being held in a remote, previously low-key corner of South Korea, far from the traditional winter sports markets of Europe and North America. But Scott Snyder, of the Council on Foreign Relations think tank in the US, said North Korea's participation "will be an enormously reassuring signal to athletes, officials, and spectators who might otherwise have hesitated to come to South Korea due to rising inter-Korean tensions". Although Russia's team is banned, "clean" Russian athletes who pass strict protocols will be allowed to compete under a neutral flag. Russia's Olympic chief, Alexander Zhukov, has said about 200 athletes could compete in this way.